Back in 2005, the USDA wrote the administrative rules for the program that is now the “Rural Energy for America Program” (REAP). The USDA rules only allowed the program’s grants and loan guarantees to be used for projects located in rural areas. Legislative language in the 2008 Farm Bill specified eligible recipients as “agricultural producers and rural small businesses.” As not all “agricultural producers” are located in rural areas, the USDA rules excluded legitimate agricultural producers. After hearing from members of Congress, ELPC, and non-rural agricultural producers from around the country, the USDA has now agreed to make the REAP program benefits available to all agricultural producers regardless of location. (Small businesses will still need to be located in rural areas). Unfortunately, they cannot implement this change until FY2010. ELPC commends the new leadership at the USDA for this action to repeal the “rural restriction.” The restriction excluded many dairies, fruit and vegetable growers and other growers of specialty crops from participating in this program. 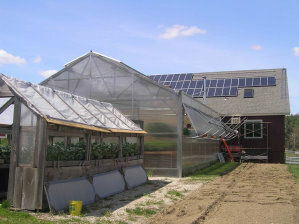 Many greenhouse growers were also excluded from REAP. As it happens, the ag sectors most affected by the restriction have special needs for energy efficiency and opportunities to develop renewable energy such as wind, solar and manure digesters. They are potentially good REAP candidates who can make the program more successful. ELPC commends Secretary Vilsack for this decision and looks forward to more clean energy projects as a result.